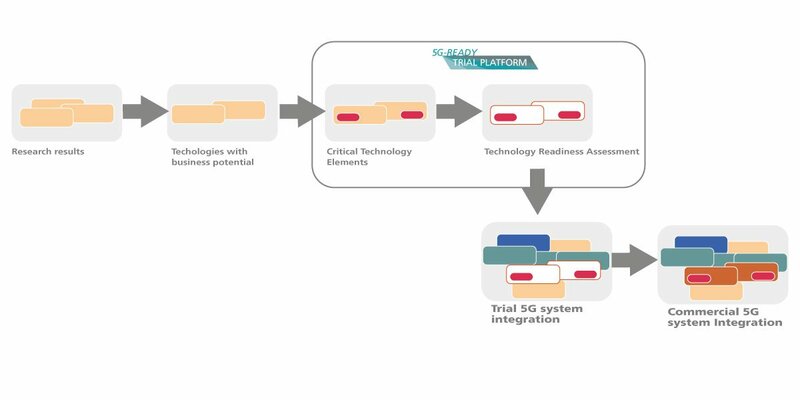 The 5G Ready Trial Platform represents the key element of a comprehensive (5G Ready) communication ecosystem, pragmatically addressing the requirements to provide demonstration and trials of the 5G use cases. 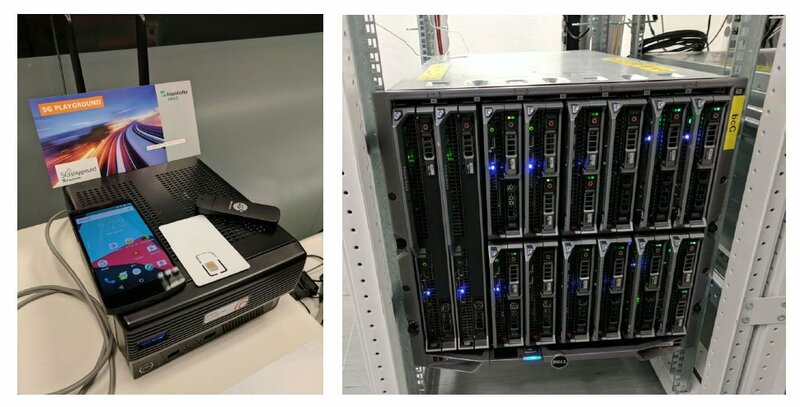 The 5G Ready Trial Platform provides a consolidated turn-key solution of the Fraunhofer FOKUS software components. It Integrates with selected access networks, devices, applications and infrastructure elements, providing additional benchmarking and assessment mechanism. It provides the efficient means to integrate, to initially evaluate within a large number of network conditions the maturity level of the existing technologies, to test the interoperability and the configuration flexibility as well as the efficiency of underlying infrastructure in order to create comprehensive customized solutions trialling new products in small or medium deployments. The Edge Instantiation represents a proper solution for micro-operators and local networks and provides customized IoT connectivity for x100 devices. The edge instantiation addresses proof-of concept of new use cases in the form of small scale trials, especially for the vertical markets, independent or in correlation with a macro- operator like infrastructure. The Data Center Instantiation enables a multi-slice environment and provides support for multiple parallel instances of IoT and multimedia communication. The data center instantiation addresses in correlation with the edge instantiation small and medium scale trial deployments, including additionally to the proof-of concept of the use cases the evaluation of the performance and quality of the proposed solutions. Both solutions are including a large number of software components of the Fraunhofer FOKUS easy to be combined in different customized software network infrastructures addressing the specific use case requirements, through this being able to provide a comprehensive testing and evaluation system. The 5G Ready Trial Platform follows the concept of Minimal Viable Product (MVP) in providing a combination of software network functions and network management components for pragmatically providing a generic solution easy to be customized for the needs of different use cases and to be installed on top of heterogeneous hardware infrastructures. Specifically, the 5G Ready Trial Platform was build through the development of Critical Technology Elements (CTEs) coming from different technology directions, needed in order to provide the basis for the 5G Trials. Virtual Core (vCore) network: provides the high level functionality for network and node connectivity and the synchronization mechanisms for the communication between edge and central nodes. The virtual core network implements advanced features of the 3GPP 4G Evolved Packet Core and 3GPP NexGen 5G system and provides support for the massive IoT communication through its NB-IoT features implementation. Low delay network: includes the development of hardware and software accelerated own SDN based forwarding solution customizable for intra- data center communication, inter- data center communication as well as support for dedicated SDN-like environments. Dynamic spectrum acces and spectrum management: capacity to support upcoming regulatory frameworks enabling flexibility in spectrum access for increased efficiency, availability, co-existence and scalability.